The Fulton County Championships swim meet took place at Marist School on Saturday, January 11. Ten schools participated in the meet including Alpharetta, Johns Creek, Northview, Milton, Chattahoochee, Centennial, Roswell, Riverwood, Cambridge, and North Springs. All the participating students from Fulton County schools were required to swim a certain time to qualify for the meet. The county meet also serves as the last chance for swimmers attempt to qualify for state with an even faster time. The girls finished in seventh place overall, just one point behind Chattahoochee High School. The girls 200yd free relay that qualified for state included senior Morgan Plowman, freshman Sophie Laupus, senior L.E. Laupus, and freshman Rebecca Cohen. Rebecca Cohen, L.E. Laupus, Morgan Plowman, and junior Olivia Weinstein also improved their state qualifying time in the 200yd medley relay. While the boys finished in tenth place overall, freshman Kevin Hopper, junior Justin Cohen, and seniors Jackson Sanders and Joshua Stovall qualified for state in the boys 200yd free relay. 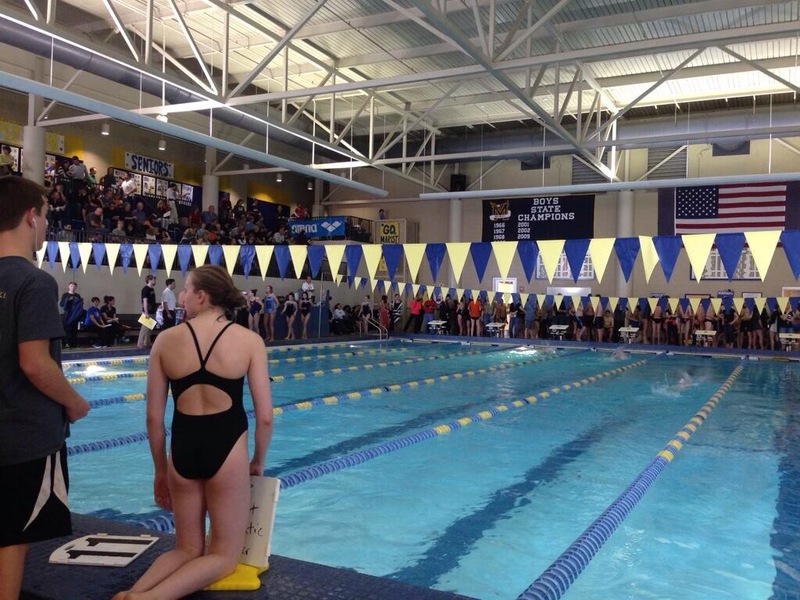 The state swim meet will be held at Georgia Tech on February 7, 2014. Swimmers get ready to compete at the County meet. ← The long-lasting legacy of Dr. Martin Luther King Jr.